The new Zulu headset looks different because it is different. Made with magnesium and stainless steel it's extremely durable and yet weighs just over 13 ounces. Because of it's unique ear cup design, Zulu has more total noise cancellation than any headset on the market. Simply put, you get broader noise attenuation over the entire audible range. Rather than concentrating purely on cutting decibels, our engineers looked at how pilots perceive noise at different frequencies. Their goal was to make the Zulu feel so much better than any other headset, that when someone put it on, the first words would be "Wow". Active cancellation over a deep, broad range of low frequency noise. Designed when worn to be the quietest headset on ever. Front Row Center (FRC®) gives you a theater-like listening experience, enhancing stereo sound reproduction so that audio seems to come from all around you, not just from your right and left. When radio communications come in from the panel, Auto MusicMute decreases the volume of auxiliary devices by 80%. 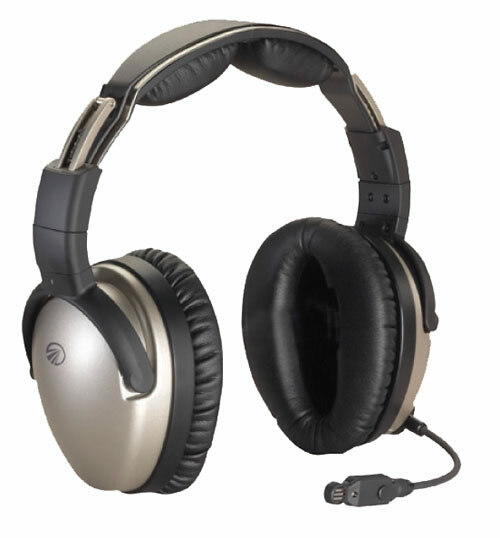 This allows you to enjoy music through your headset without missing any important radio communications. Switchable to match the signal from your audio panel. Bluetooth Enabled Allows wireless connection to Zulu from Bluetooth phones or other devices. Cell/Music Connection Wired interface for patching in cell phone, or music devices with supplied cables. Durable yet light weight that also is 10x more effective at blocking out high frequency noise without sacrificing comfort. Light and comfortable. Thin to eliminate top of canopy clearance problems.